I've had this quote in my Blogger profile since the beginning, and it feels particularly appropriate now. Byte-size Biology posts octopus and coconut videos. Regular readers can probably guess what my response was, since I’ve written about that very thing. Metamodern talks about the graying of science, but the graph he uses to do so bothers me. Women in Wetlands asked how many famous female scientists I could identify; I got five. Ryan Gregory asks at Genomicron how he should get his evolutionary writing out there following a publisher’s decision to move Evolution: Education and Outreach behind a paywall. Natiiv ponders the popularity of failure; I do some very quick amateur psychology. By a 3 to 1 margin, readers voted the mimic octopus to be cooler than the whale shark! You have a big presentation coming up, and you need something to help get yourself in the right mental zone. Something to bring up your “Grrrrrrr!” factor. The movie has a track record of making people achieve. Case study #1. 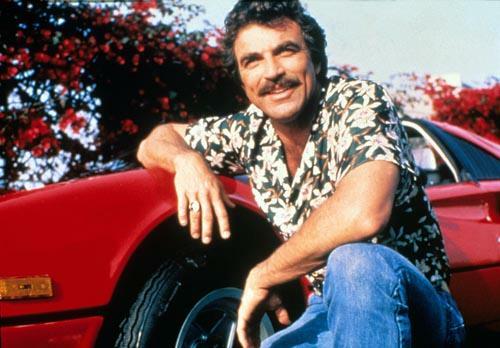 Two of the film’s stars have gone on to govern American states. Schwarzenegger in California, Ventura in Minnesota. Case study #2. In 2000, the Essendon Bombers had the sort of year that sports teams dream about. They went an entire season all but undefeated, losing only one game and taking home the premiership. In 2001, they were having another fantastic start to their season and were widely tipped to go all the way to a second premiership. Then, half-way through the season, they played the Brisbane Lions. The Bombers lost that game, the rest of the season was weakened, and they lost to the Lions again in the Grand Final. The advice coach Leigh Matthews gave to his players before the crucial first meeting? That’s one advantage of using a full laptop instead of a netbook: DVD drive so you can watch that last reel of Predator in the break before your talk. 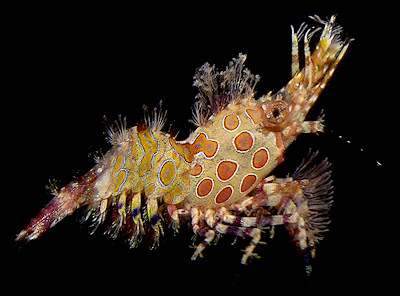 The caption for this calls it a “new species” of marbled shrimp. It may or may not be new to science, but it was certainly new to me... It apparently belongs in the genus Saron. Photo by user artour_a on Flickr, and used under a Creative Commons license. Are they finally going to get serious about grad school here? The Austin American-Statesman reports this morning on the push for more higher educational institutions in our area of southern Texas. 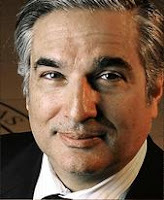 The University of Texas system might be leading the push (Chancellor Francisco Cigarroa pictured). The headline is about prospects for a medical school, which always occupies a significant (I dare say occasionally disproportionate) amount of everyone’s attention. UT System officials also will consider expanding programs in science, technology, engineering and math – the so-called STEM fields that state officials have deemed a high priority – at the Valley's two public universities, UT-Brownsville and UT-Pan American. Juliet García, UT-Brownsville president, welcomes the attention. She said expanding those programs would require additional state appropriations — hardly a sure thing in a time of tight budgets. It is a sad but true fact that you cannot have it all. This has been known in evolution for a long time, where people often talk about trade-offs. In a new paper, Cox and Calsbeek test the trade-offs between survival and reproduction experimentally, using female anoles. 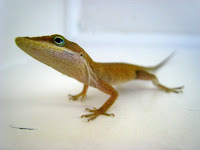 Female anoles (Anolis sagrei; pictured) lay one egg at a time, though they do so throughout the breeding season. Cox and Calsbeek captured almost 400 animals, and performed sterilizing surgery on half the females, and sham surgery (incision but no other manipulations) Then, they let the animals return to the wild and tried to recapture as many as they could later. The statistics showed a significant difference in recapture rates a year later. The sterilized animals were more likely to survive the breeding season. Even after the season ended, the females were about twice as likely to make it over winter, which is surprising because the females aren't egg-laying then. The females put on about twice as much mass over a breeding season. Admittedly, it’s 0.3 of a gram versus 0.15 of a gram in mass growth. This does not sound like a lot, but these are small animals, and the difference is statistically significant. What accounts for these differences? There could be many, but one element is that eggs are heavy. Cox and Calsbeek also did some other surgical experiments where they didn't sterilize females, but simply removed eggs they had, and compared their locomotor performance to those with sham surgery. Again, those with no eggs ran faster and longer, which suggests an element is that having eggs makes it harder to escape from predators. The authors' discussion is very good about pointing out the shortcomings of this experiment. For one, sterilization removes the ovaries, which produce a lot of hormones. What effect might hormonal changes alone have on survival and the like? Not clear. It's also not clear if the differences in running speed is really related to predation. Photo by Ezra S F on Flickr, used under a Creative Commons license. 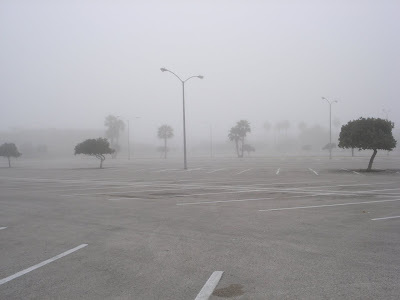 Boscoh at the Trapped in the USA blog laments a perceived lack of curiosity. Many researchers become masters of their own research field but have minimal interest in areas outside their own. For such scientists, it is the qualification of knowing that counts, not the knowing itself. We do research so that we can publish prestigious research so that we can be recognized as prestigious scientists. Anything other than this is a sign of amateurism. Perhaps it’s a way for socially awkward people who played too much dungeons-and-dragons in high-school to claw back some kind of respect in a hostile world. It’s one thing to be interested. It’s another to get the job done. Because only one thing counts in this life! Get them to sign on the line which is dotted! You hear me...? For science, it’s A-B-C-D. – Always Be Collecting Data. The point of the exercise is to generate new knowledge. To do that, you need data. Getting data takes focus. It takes discipline. As New Scientist helpfully pointed out earlier this week, science is boring. A nearly obsessive desire to complete a task is sometimes what it takes to do the job. For an extreme case, listen to this interview about Grigori Perelman, the recluse who solved the Poincaré conjecture. For instance, one of the hardest things for me to do is run replicates, because I know what the answer is going to be. Perhaps it indicates I am more interested in qualifying of knowing rather knowing. But it is necessary. I say this as someone who agrees with Boscoh. I have taken pride in the number of different species have been featured in my research. I joke that have scientific ADD. I’m a dilettante. But I shouldn’t pretend for a second that it hasn’t cost me. If someone were to come up to me, like Mamet’s Blake, and say, “I have a continuously funded R01 at a major research university. How much did you bring in? You see, pal, that’s who I am. And you’re nothing,” I might call him rude, and say that’s not what matters to me (which are both true). But I have to admit that such people are often very good at what they do. They get the data. A. B. C. D.
A lot of students are also dilettantes. And it’s no surprise that many students have problems making the transition to professional scientist, because being a professional requires a certain clarity of purpose to getting the job done. Some are able to keep that bit of breadth, but professional science, like selling real estate, is about closing. The great ones finish. Focus and discipline and getting the data out the door are not the only skills a scientist should have. There is a huge advantage to reading widely, and to having different points of view. But focus and discipline should be respected. 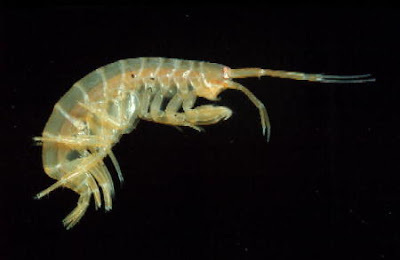 This is an amphipod called Maera mastersi. I came across a reference to another species in the same genus in a paper I was reading... and I couldn’t find a picture. 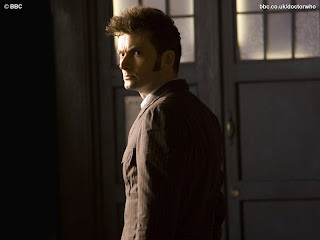 So I tried searching for the genus name, and this was the only picture I found of any species in the genus. It’s a reminder of how far we are from cataloging the life on this planet. Who will hire science journalists? “It’s basically going out of existence,” said Angier of newspapers’ science coverage. This is no real surprise, since newspapers are going out of existence almost as fast. Some of the responses are Neuron Culture and The Intersection. Some bloggers, particularly those on Twitter, pointed out that the article doesn’t mention science blogging. For some kinds of stories, like analysis of single new articles, scientists who blog do a great service that used to be more the domain of science journalists. But few writers on scientific blogs do comprehensive overviews or investigations. I would like to suggest two possible homes for the kinds of science journalists who might do those larger science stories. First, science journals themselves. 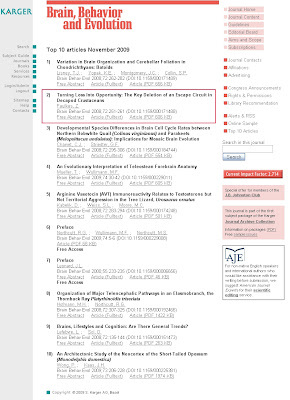 Some go part way; The Journal of Experimental Biology has an “Outside JEB” section in each issue, which is a little like research blogging posts. Right now, only a few of the big journals – Nature and Science and the like – seem to have full time staff writers. Those writers do excellent work, and bring stories together in ways that I don’t often see on blogs. Elizabeth Pennisi, who writes for Science, routinely does fine writing about biology that pulls together a lot of threads into one cohesive story. Unlike many other media ventures, science journals don’t rely on ad revenue, and are profitable. 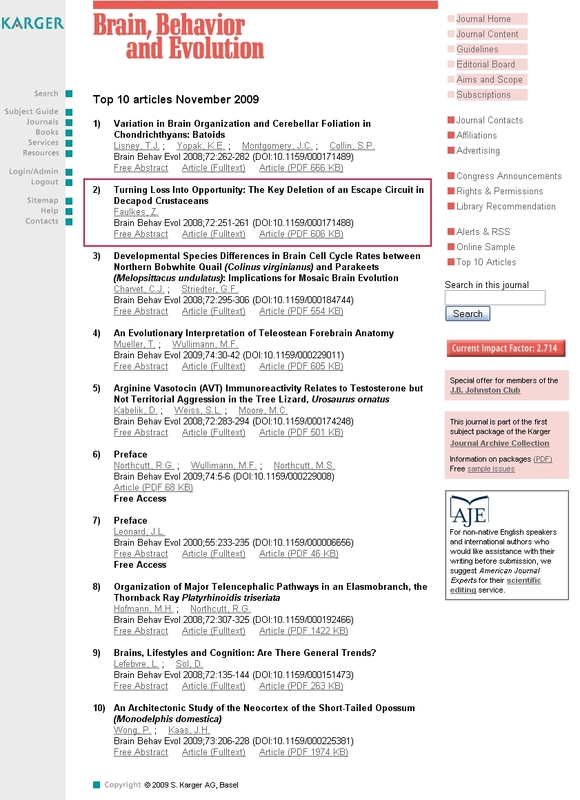 It seems to me that a journal that started to do serious science reporting could use it as a major selling point. Second, scientific societies might start hiring science journalists. A journalist could report of trends in the research fields that professional societies oversee; controversies within the fields; reports from allied disciplines. Both scientific societies and journals are in the business of promoting science for the long term. Both are fairly stable financially, and both should recognize the importance of having someone to do the synthetic kinds of reporting of the sort that people like Natalie Angiers does. 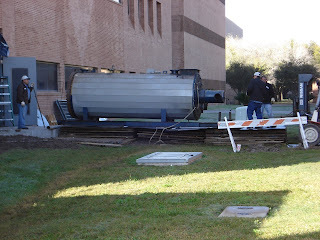 As you know by now we are getting a new boiler for the Science building to replace the current one that is currently having performance issues. I snapped these on my way into the building this morning. It’s going to take a while to get those track divots back to normal. As part of a writing class I am teaching, I had my students read a lot of the submissions to Open Laboratory 2010. They started before the final submission deadline, so what they read was in no way a comprehensive survey of all the nominated posts, but they read a decent fraction of them. Then, they voted on the posts they liked the best. Neurotopia: The Value of Stupidity: are we doing it right? The Primate Diaries: Does Taking Birth Control Alter Women's Sexual Choices? 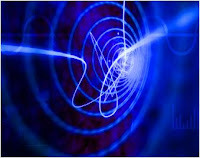 The Quantum Lobe Chronicles: Did sleepwalking once serve as an adaptive function? That said, the students I think keyed more into the novelty of the topic being discussed in a lot of cases more than the actual level of writing. One of my neurobiology students pointed me to a video of a women suffering from dystonia. The story very strongly implies that her dystonia was caused by getting a seasonal flu vaccine. Correlation does not imply causation. That you do a rain dance, and it later rains, does not mean you caused the rain. That she had a vaccine before the onset of her condition does not, in and of itself, mean the vaccine caused it. “Doctors say...” What doctors? There were no doctors interviewed on camera, or listed by name. No peer reviewed research was mentioned. I did a very quick search on Google Scholar, and found no papers discussing both vaccines and dystonia. What I did find was a review of people who have been diagnosed with dystonia which seems to have underlying psychological causes rather than biological causes. This indicates that there are a wide range of causes for dystonia. Let me try to be crystal clear: I am not saying it is impossible for this particular case to have been caused by the vaccine. I am saying that the story, while emotional, isn’t informative. One of my students emailed me asking what I thought of this article, “Social scientists build case for ‘survival of the kindest’” on the biology of human sympathy and kindness. I am not sure what they're going for here. Stuff in this article ranged from unsurprising to dubious to wrong. Unsurprising: It’s been known for a long, long, long time that cooperation can be a winning strategy for evolutionary success. This stuff in the article doesn’t weigh against an hypothesis that selfishness at the genetic level provides evolutionary success, as far as I can see. The track record of people claiming to have found single genes to explain a complex social behavioural pattern in humans is lousy. I can’t think of one. Frogs have vagus nerves. The neurotransmitter acetylcholine was first called “vagustoff” because it was isolated from frog vagus nerves by Otto Loewi, for which he won the Nobel prize. And, just to be crystal clear... Frogs? Not mammals! While this detail is just that – a detail – errors like that burn credibility. None of the cases they talked about are clearly altruistic (at least, I couldn’t tell from what’s written in the article). Altruism is “I incur a cost that benefits you.” What is presented in the article seems to be either cooperation or mutualism (“I benefit and you also benefit”), or maybe generosity (“This costs me nothing and you benefit”). And by costs, I mean survival or reproductive costs, not someone making a six figure annual salary giving $5 to charity. Cooperation is dead easy to explain through evolutionary theory. Generosity is not problematic, although you might expect it to be rare. Altruism is difficult for evolutionary theory to explain, which is why there are many papers in prominent journals about models and explanations for altruistic behaviour. I’m sure much of the basic research underlying this article is fine and Interesting stuff, but this write-up has way too much of an “Everything scientists thought was all wrong!” vibe for my liking. Back in October, I posted an entry about reverse evolution in the NESCent competition for blogging about evolution. But I cannot feel bad about that, considering that I was totally pulling for “Nerdy” Christie Wilcox, whose post I loved. I read it and thought, “OoooOOOoooh, this is so much better than mine.” This is not to take anything at all away from Jeremy Yoder’s post, but a man is allowed to have a favourite. Other entries are here. Lots of fine reading! At Canadian Girl Postdoc in America, I offer suggestions on how to deal with a workplace bully. Oddly, I had just been listening to a radio show about that topic only a couple of hours earlier. Conversation Matters talks about long-term potentiation between neurons. As I often do, I try to clarify a few factual details that don't necessarily change the big picture. Terra Sigilata asks whether the acronym STEM includes medicine. For me, it absolutely does not. I comment further. Building Blogs of Science mentioned teaching with Second Life; I describe my colleagues’ reactions to the idea. Let’s call it... poor. Is science democratic? SomeBeans thinks no. I think so, and point out an argument I made here a couple of years ago. At A Skewed View, I try solving a puzzle. Why Evolution is True posts one of those funny pictures that makes the rounds on the Internet. But this is a case of it’s funny because it’s not true. Speaking About Presenting talks about how being willing to make a fool of yourself can work to your advantage. I agree, but use different words. DrugMonkey picks up on a question from Dr. Becca on whether it's okay to reject a manuscript because the writing is atrocious. I say yes, but only in extreme cases. At the There and (Hopefully) Back Again blog, BioChem Belle talks about picture-taking etiquette in seminars and presentations, which raises many issues, and I'm not sure which one I should be mad about. Dr. Becca bemoans problems with journal editors at One The Market. The Women in Wetlands blog asks what to do about an individual showing odd behaviour. I don’t think chatting to Human Resources is the answer. 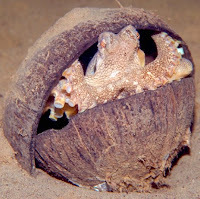 Octopuses using coconut shells has been all over the web the last couple of days due to the publication today of a new paper by Finn and colleagues. The title is helping generate the attention: tool use. This is a cool finding, but it is not as path-breaking as one might think. First, the authors do note that there have been possible cases of tool use in invertebrates besides octopuses, but argue that other cases are too context-specific to be “real” tool use. Second, this is not the first time the phrase “tool use” has been used regarding octopus behaviour. I remember having discussions about tool use in octopuses arising from discussions with Jennifer Mather, my undergrad supervisor. In her field site, she noted that octopuses made dens. These were not just nooks and crannies that octopuses crawled into. The octopuses actively modified their dens by bringing in rocks to block the entrance. So we’ve known for 15 years that octopuses can actively use objects in their environment for protective purposes. I think the coconut shell carrying and use could be an extension of the den modifying behaviour. The difference with coconuts is that the octopuses can move them around with them, and it’s hard to think of rocks an octopus could do that to. The coconut carrying behaviour is interesting not because it shows tool use as such, but because it shows anticipation and planning. They show octopuses carrying the coconut shells under their bodies. Finn and company argue that is costly behaviour, except that the octopus could then cover itself with the two halves of the coconut. In reading the paper, though, I am not sure if they saw a case where an octopus carrying the coconut shells switched to covering itself with the coconut shell. Yes, I’m being picky with that criticism. They may have seen that behaviour. Even if they did not see it, it’s a completely reasonable assumption that the octopuses do use the shells as shelter, and I have no other hypothesis as to what the octopuses are doing with those shells. But if they did not see it, it’s important to keep in mind that they’re inferring the connection between carrying the coconut shells and using them as shelter. Photo by threefingeredlord on Flickr, and used under a Creative Commons license. I’ve never been crazy about that advice, particularly for a typical academic conference talk. Most conference presentations are 15 minutes. Given that the usual problem is managing to cram the complexity of research into a 12 minute presentation (so you have time for questions), every second is valuable. Writer Michael Crighton once described how one of Jurassic Park’s scientific advisors (Jack Horner, maybe?) bemoaned that the paleontology scene in the opening of the movie wasn’t as realistic as it could be. The advisor had even suggested to Steven Spielberg a scene that was a little more accurate. Crighton asked how much longer the scene would be than what was in the movie. “About a minute.” Crighton replied it was no wonder it wasn’t used, because a minute is a long time in a movie. That economy of storytelling is something many presenters would do well to imitate. Few movies lay out what’s going to happen in the first act of the film. (Exceptions: Caper movies, where the whole idea is to lay out a plan in detail, then watch where it goes wrong.) Likewise, movies usually don’t end with a series of flashbacks or dialogue recapping the plot the characters have just gone through. Yet I frequently see people using “Outline” slides (some of my colleagues require their students to have them), with a series of bullet points that are often almost identical to the list of standard sections in a scientific paper. I do not find this valuable in a short talk, particularly given that many technical talks do not have enough introductory material. I do think repetition is good, particularly in a teaching context, where you want people to retain information for long periods. But there are more natural ways to do it than having a bland outline at the start or an instant replay at the end. The walk into work this morning. I love the way things fade in the distance. 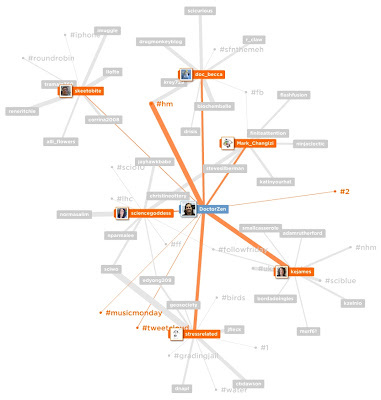 MentionMap is a fun little application that visualizes comments to other Twitter users. Fun to click around on, and maybe a good way to discover some folks you’d find interesting. Hat tip to Flowing Data. This article asks, “Can gaming change education?” I’ve been writing a bit this lately, but I was frankly disappointed with a lot in the article. For one thing, how did “gaming” become “video gaming” only? In fact, “fun” appears just once in the entire 2,500 word article. With an attitude like that, is it any wonder that so many educational games have struggled to work? Additional: MIT isn’t so dour as I first indicated; see the comments. 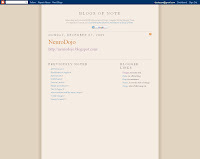 Stage 1 – Elation: Pleasant surprise at being featured on Blogs of Note and increase in number of visitors. Stage 2 – Panic: Freak out over the number of people visiting, and that your scheduled post during all this may not be the most substantive thing you’ve ever posted. Stage 4 – Acceptance (predicted): Work to earn the time of those people who decided to stick around to see what you got. * Unless P.Z. Myers directs his readers to vote in the whale shark versus mimic octopus poll. Shocking affairs of zebra finches revealed! We never get tired of finding out who’s cheating on who, if the headlines are any indication. Finding out how much cheating is going on in the animal kingdom was revolutionized with the introduction of DNA fingerprinting, and led to major rethinking of sexual behaviour, particularly among birds. Go back before the introduction of DNA technology, and the general consensus was the most bird species were monogamous, at least during a breeding season. There were all kinds of good reasons that were given as to why this should be so, involving the ability of the males to support offspring and the certainty of paternity. When researchers were actually able to check relationships of eggs to parents, however, many bird species got redescribed as “socially monogamous” because chicks were routinely found that were not fathered by the male tending the nest. Not the majority of chicks, but a consistent portion of them. At first glance, this paper on zebra finches (Taeniopygia guttata) didn’t seem to be bringing very much new to the table. 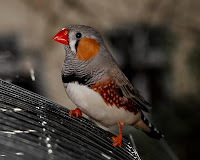 Zebra finches have been studied a lot, and this paper mainly seeks to refine the value of what percent of offspring are the result of mating outside the social pair bond. There’s no hypothesis or experiment here; this is straight up descriptive natural history. Griffith and company went out to the birds’ native habitat in New South Wales, Australia, watched their behaviour, took blood samples, and did the DNA fingerprinting to figure out if the chicks were related to the pair minding the nest. They found the number of chicks that were the result of “extra pair” matings was lower than had been previously reported, and in fact, was one of the lowest reported for bird: a little under 2%. The finding that caught my attention, however, was that some eggs were not related to either of the birds at the nest. You may know about cuckoos and cowbirds, which lay their eggs in other species’ nests (brood parasitism). It turns out that zebra finches do much the same thing to other zebra finches, like the classic cartoon image of the baby left on the doorstep. This form of reproductive “cheating” (quasiparasitism) was more common than the extra pair matings, accounting for about 5% of the chicks. The introduction and discussion makes almost no real references to previous papers or theories about quasiparasitism, which is a trifle irritating for me. I am not sure this paper adds very much new to our understanding of extra pair mating in birds generally. Still, I was pleased that I got to learn something that I either had never known or forgotten about. There are plenty of interesting questions bubbling to mind about that. What conditions make a female more likely to lay her eggs in another bird’s nest? What behaviours to birds take to prevent being exploited? How does it vary across species? I guess I have a little reading to do. Photo by user Jörg Dickmann on Flickr, used under a Creative Contents license. How can we turn teaching problems into teaching puzzles? In teaching, we are often trying to get students to come to a “right answer.” (Indeed, students come to expect that there is always a right answer, somewhere in the back of the book somewhere. One of the hardest things to convey to students is how often the answer to a question is, “I don’t know, and I don’t think anybody does know.”) To help students remember the “right answer,” we give students problems. Problems are easy to make; puzzles are hard to make. The problem keeps coming back to, “How do you make it fun?” Some people play games to entertain themselves, but others play to challenge themselves. Tuesday Crustie: Oh captain! My captain! “A lobster-pirate with a love of language.” Now there’s a group of words you probably never expected to see in that order. 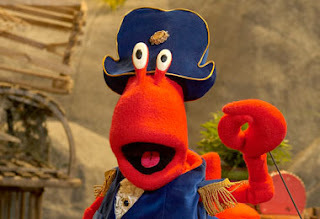 Captain Claw, from the Canadian Broadcasting Company. Please excuse me. You caught me in the last week of classes for the semester... And it’s a teensy bit overwhelming to have more visitors in one day than I’ve had for most months this year. Welcome to all who were introduced by Blogs of Note! I hope that a few of you like what you see and stick around for a while. Perhaps a few introductions and a description of what I do here is in order. I think you might enjoy the atmosphere here if you like a little science or are an educator. I try to have about one post a day during weekdays. About one post a week is about a recent paper in science, usually involving brains, behaviour, evolution, or some combination of the three. The talk gets a little technical sometimes, but I try to make the story understandable to those who haven’t got a science degree. I like helping scientists, and prospective scientists, build careers. I run an undergrad research program, a master's program, and have served on multiple search committees, so I have a fair amount of experience about developing research careers that I can share. I’m interested in technical presentations and communication. I stick my advice for talks under the “Zen of Presentations” label, and I have a niche blog for poster presentations called Better Posters (updates most Thursdays). I’m also an educator, and write a about other elements of teaching, too. What I can learn from games and apply to my teaching has been on my mind a lot lately. 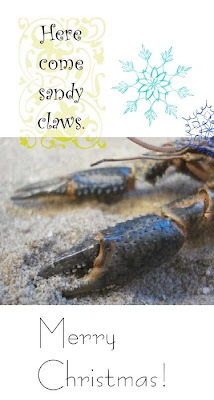 This blog has a weekly photo feature called the “Tuesday Crustie,” which features crustaceans, because they’re the critters I do most of my science with. 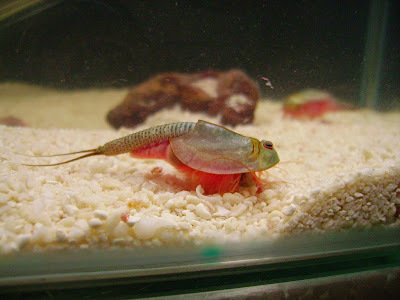 One of the crustaceans I am currently working on is a very cool crayfish called Marmorkrebs (female clones! ), and I have a niche Marmorkrebs blog (updates most Tuesdays). Throw in a few bad jokes and geekiness and there’s your lot. There are multiple subscription methods to your right, and my email addresses aren’t hard to find. Comments here are moderated to keep out spam. How many times have you watched your favourite movie, listened to a favourite song, or read a favourite book? More than once? Why? Do you really think Bogart is going to get on that plane with Bergman when you play the movie this time? We can revisit favourites and still enjoy them. We’re not bored because we know what’s going to happen. Instead, we actually take pleasure in something because it’s familiar. Experts got to be experts in a field usually because they love that stuff. They’re about as likely to be bored by introductory material as a film fan would be bored by watching a great film again. Plus, even when the experts know the material, they won’t have heard it your way. It’s like listening to two different artists playing the same song; each can bring something new to it that makes it enjoyable and worth listening to again. Covering the basics might even make an expert feel good, by reinforcing and confirming her expert status to herself. If your choice is between boring and confusing an audience member, pick boredom. You can bring a bored audience member back on board, but it’s almost impossible to bring a confused audience member back to the fold. Don’t be afraid if your talk is as much as half introductory material. If you do it right, everyone will be able to follow you through to the end, experts and novices alike. Additional: Examples of turning something that everyone knew into something new... Does knowing the original diminish the pleasure of the new version? Whale shark vs. mimic octopus! And now, the third round... blog war! By far the most popular posts I’ve written this year were about the mimic octopus and whether it did indeed mimic rather than resemble (at the end of April) and about the whale shark and the size of its brain (in September). Most hits on the day of posting: Mimic octopus. Most hits over first month of posting: Whale shark. To break the tie, I turn to my readers: Which animal will reign supreme? Update: This poll is now closed; results can be found elsewhere on this blog. It started slowly. Nobody noticed. Tiny changes. But then, one morning, the world woke up and everything was different. In addition to being a biologist and blogger, I am also a supervillain. The streets had soldiers in black and red robes holding electric guns. The buildings curved up toward the sky at impossible angles. A sky that looked like a green lava lamp. 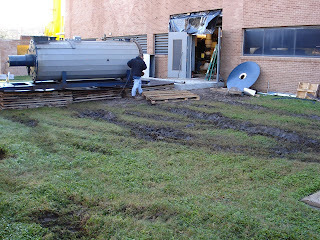 Earth had been invaded overnight. Invaded by another world. But not a world from outer space… a world from beyond space. A world from another dimension. 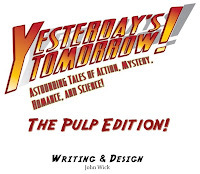 My latest exploits as a supervillain can be found in a new role-playing game, Yesterday’s Tomorrow, created by game designer John Wick. The game is a love letter to pulp magazines and old Republic movie serials. John has shown up more than once on this blog, usually because the way he thinks about engaging players in a game makes me think about engaging students when teaching. Can our brave heroes stop him? Can they prevent Doctor Zen from accomplishing his final goal? Additional: John’s explanation of how I became a supervillain. Please reviewers by citing their work if it’s relevant. I hate this sort of stuff that has nothing to do with the science. I really do. Much has been written about the theft of emails from climate scientists and how bad they look when taken out of context. And oh yes, I agree that they look bad. Bad enough to provide fodder for The Daily Show. Why these emails look so bad is that they play right into what is right at the heart of every anti-science campaign, whether it’s anti-evolution, anti-vaccine, anti-global warming, whatever: the conspiracy theory. Every time these groups attack a well-established scientific consensus, each of them fails miserably on the evidence, so each posits a conspiracy to explain their failure. Denialists are always trying to make claims about researchers’ motives, not evidence about nature. I was reminded of this bit from a recent Ockham’s Razor. For the previous 200 years, science had been the exclusive concern of wealthy gentlemen, who would have scorned payment for their work; gentlemen, by definition, did not work for money, so any form of compensation would have compromised their social standing. And the fact that they didn't need the money was part of the reason they were considered reliable and honest investigators of nature - they were disinterested. By contrast, those who sought to profit from their discoveries, like the alchemists of earlier times, had every incentive to falsify their results, conceal their knowledge and exaggerate their achievements. The gentlemen who formed Britain's Royal Society in 1660, took pride in the fact that they received no funding from the state; their wealth and social status guaranteed the accuracy of their observations and the truthfulness of their claims. There’s little doubt that as science has become a profession, where researchers are facing ever higher stakes to publish, there have been more incentives that people can use to question the motives of scientists. Not sure if there is any way that we as a profession can recreate some of that “gentlemanly disinterest” that characterized our predecessors? Not professor. Not researcher. Not scientist. PI. For the casual observer outside of academia, “PI” is not “Private investigator,” but “principle investigator.” It is grant-speak, words used by American funding agencies like the National Institutes of Health and the National Science Foundation to designate who is the lead researcher on a particular project. It’s reflective of how people are increasingly defining their careers in science by whether they are able to pull in grant money. I don’t think it’s healthy either for the profession or for individuals. 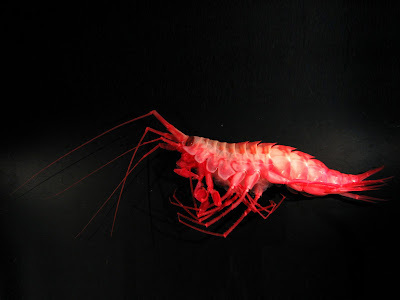 An amphipod crustacean in the genus Eusirus, nearly 10 cm long, caught off the Antarctic Peninsula. Photo by Cédric d’Udekem d’Acoz, from here. Number 2 again! Hooray! That makes... six months in the top 3 now? A post partly about big cars started off with a factual error. Why I bother to correct a post in which the author essentially boasts about ignoring data not once, but twice, I don’t know. Blind obsession with truth? I offer a suggestion for improving a graph at Junk Charts. The Intersection asks if inaccurate coverage is better than no coverage. It depends, but I point out that we may not get a choice in the matter. The Lay Scientist exposes a hoax about a study purporting a correlation between breast size in women and IQ. I mention that I heard this claim long before the hoax article they found was printed. I’ve been very fortunate to have people comment positively on my Better Posters blog. But the recommendation at Astrodicticum Simplex was the first that required me to use Google’s language tools to make sure it was, in fact, a recommendation. At Slides that Stick, I get purist about data displays – in this case, tilting maps. Martin Fenner on Goobledygook talks about those fancy article level metrics, and I shamelessly plug a post here about them. The Usable Learning blog talks about seeing games everywhere, something I’ve discussed. Evo.sphere claimed that the U.S. in the only country in the world that does not have its K-12 curriculum set nationally. I point out that this is incorrect; Canada is much like the U.S. in this regard. Adventures in Ethics and Science has a case of plagiarism and an unresponsive editor. I suggest editors often have bosses they must answer to. 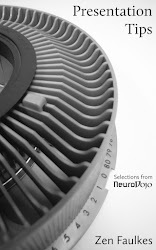 Bunchbery & Fern blog has a post that makes a point about cognitive load with an unusual picture. I take a stab at guessing what point it’s illustrating. At Dr. Becca’s blog On the Market: Fumbling Towards Tenure-Track, I share some advice about what I’ve seen on search committees. Note to those who want tenure-track jobs: Don’t ignore the teaching aspect of the job. At There and (Hopefully) Back Again, I put in a little thought on what a supervisor’s responsibility is.